See Us At The Home Show This Weekend! Due to the Sunday Mail Home Show this weekend, our Seaford showroom will be closed. Please feel fee to visit us at Stand E188. Buyer Beware - Once Again! With the failure of yet another double glazed window company in Adelaide, this time Euro Eco Windows who this week went into receivership, buyers really should be asking more questions of their potential suppliers! Australian Window Solutions were founded in 2009 and since then no less than TWELVE companies have tried and failed to enter the market selling uPVC double glazed windows and doors here in Adelaide. Some have simply gone out of business and some have just stopped selling the product, in both cases leaving warranties and customers high and dry. And nearly all of them have one thing in common............almost none of those companies had the experience or knowledge of the products they tried to sell, manufacture or import before they set up in business! In Adelaide, South Australia, only TWO companies can genuinley say they know and understand the product having been involved in the industry for many years. 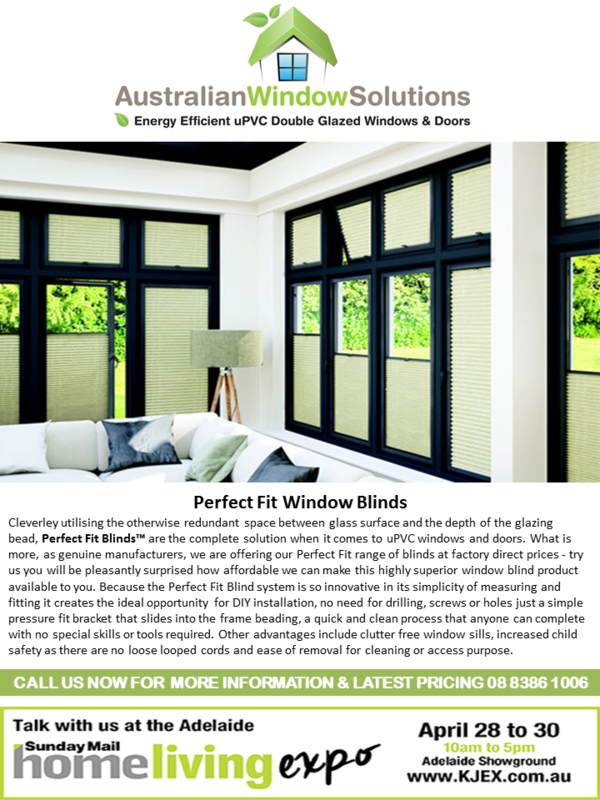 Here at Australian Window Solutions, our Owner has been invloved in manufacturing and installing uPVC double glazing for over THIRTY years. Infact, with 17 staff and growing, the combined experience of our employees is almost 200 years of product knowledge experience! So when choosing your supplier to work with Buyer Beware, too good to be true prices are just that, hundreds of customers are again out of pocket with no warranties as yet another cheaply priced and inexperienced company folds. If you want to take the safe option, choose Australian Window Solutions, Adelaide's largest and most experienced manufacturer and installer of uPVC double glazed windows and doors. BUYER BEWARE - experience cannot be beaten for trust and reliability! Due to the Home Expo this weekend our Seaford showroom will be closed. Visit us at stand F222 in the main hall. Australian Window Solutions will be closed over the Easter weekend and re-open on Tuesday 18th April. You will be able to view our products at the Home Ideas Centre, Anzac Highway, Ashford. please check with the centre for Easter opening hours. Australian Window Solutions are Adelaide's most experienced manufacturers of ultra energy efficient double glazed windows and doors. Owner Stuart Waring has been in the double glazing window industry for nearly 30 years and has been involved in the sales and specification of almost one million uPVC windows and doors in Europe and Australia!